A car key extraction is necessary when a key has broken off within the lock of a car door or from inside of the car ignition. Oftentimes, being in a key extraction situation means that a new key will have to be made to replace the broken key. 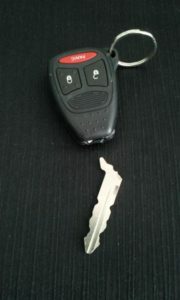 It’s never a good idea to try and utilize a broken car key as it can ruin the cylinder within the ignition. 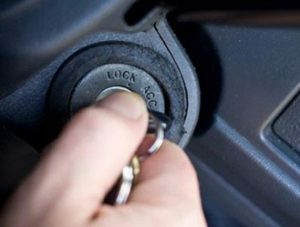 If you ever happen to break your key off while it is inside the ignition of your car, you may end up needing to have the ignition cylinder replaced by a professional locksmith in Portland. There are various dependents that will determine if it is necessary to be performed. One thing that has a large impact on the outcome is how far the broken piece(s) are within the locking cylinder. If the key piece is close enough to the point where it can be extracted without damaging any other components of the ignition, then an automotive locksmith should be able to help you remove them from the ignition without giving you any reason to replace the ignition. However, if the opposite holds true and the key piece is hard to reach, then there may have been an internal impairment to the ignition. If this scenario occurs then you will need to have your ignition replaced. As well as have a new key made in order to start the vehicle. The local locksmith in Portland will carefully assess the situation based on previous experience and ensure that the necessary work is performed. With a professional locksmith providing the service of a car key extraction, it should take between 20-35 minutes. Please keep in mind that the time is very much based upon where the broken car key is located within the ignition in accordance to with the grade of security your vehicle possesses. 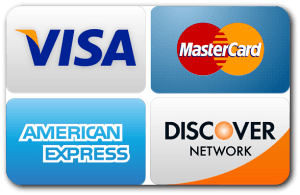 It is important to leave the car key extraction to an insured and certified locksmith. If this important task is left to an unqualified individual, you increase the chance of having your car locks or ignition damaged. Many people think that it is uncommon for our car keys to break, but it is actually a normal occurrence. For the most part, keys are accidentally broken because of three reasons. From undergoing regular, everyday wear and tear. We all have an understanding that everything ages and stops working eventually. When we apply too much pressure when turning them in our lock. If you feel like the key is not moving the proper way it is supposed to, then stop putting pressure into turning the keyway. It could be that the keyway of the door and the ignition are in need of some wd-40 or have some other issue. But forcing the key is not going to solve your problem. Debris and dust often will get stuck within the car lock or ignition.